Hi, I’m Dr. Heather Pranzarone Stratton at HPS Advanced Dental Care. We’re located in Shelby Township, Michigan. I have patients ask me, or tell me, my gums bleed a lot when I brush my teeth. But that’s normal, because they’ve always done that. Or I had my gums bleed a lot when I floss my teeth. That’s normal, it always does that. 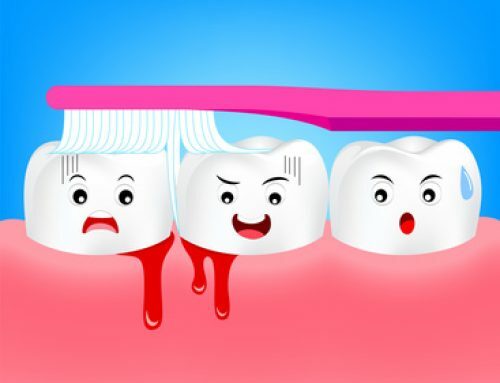 I tell these patients, if you have bleeding gums it might be normal for you but it’s something that we want to take a look at and maybe take care of for you. Because I tell people it’s kind of like having a cut on your hand and if you go to wash your hands, if your hands are always bleeding or even if you don’t have a cut on your hand, but if you go to wash your hands and your hands are always bleeding, that would probably cause some concern. It’s the same thing when your gums bleed. 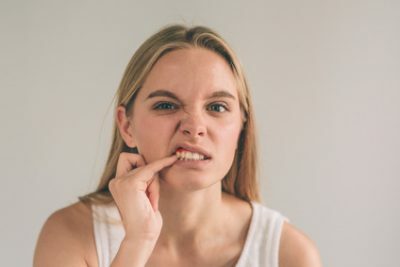 Because if your gums are bleeding just by cleaning them, which is what you do with your hands, when you’re washing them, it’s usually the sign of an infection. So as you know if you get like a paper cut and it gets infected and it’s going to bleed a lot, it’s going to become inflamed. It’s the same thing with your gums. When your gums are inflamed they’re going to bleed more. And they’re going to bleed specifically when you’re brushing and flossing because you’re stirring up the bacteria and you’re causing some irritation to the inflammation and they’re going to start bleeding. So one of the things we want to look at, usually there’s pretty easy solution to stop the bleeding gums. Which is getting your teeth cleaned; we get something called tater, which is our teeth that you can’t unfortunately remove at home. You have to have it professionally cleaned. But what tarter is plaque which is the sticky white stuff that you can sometimes get outta your teeth. When that’s not brushed off within 24 to 48 hours it turns into tarter. And basically it turns into tarter because it becomes hard and mineralized. And it sticks to your teeth and there’s no good way of getting it off except coming to see us or going to see your dentist. So we have to get that tarter cleaned off your teeth and then the bacteria is removed from around your gum line, and your gum tissue and now your gums get to heal. It usually takes a few days to a week for those gums to heal and nice pink healthy gums. And now when you brush and floss they shouldn’t be bleeding anymore. 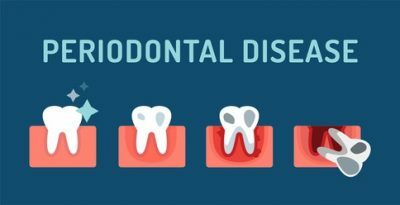 Sometimes we can get a more advanced stage of that called periodontitis and periodontitis is not, unfortunately it’s not reversible as gingivitis, if you have gingivitis like I say if you remove the bacteria that are causing the irritation of your gums, and it goes away. Periodontitis unfortunately, is not quite so easy to get rid of. 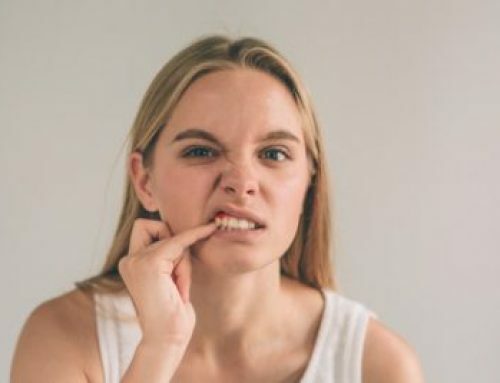 We could still definitely clean your teeth, an make those gums so that they’re healthier but it’s going to be a more proactive approach to making sure that we keep that periodontitis at bay so that it doesn’t keep coming back. 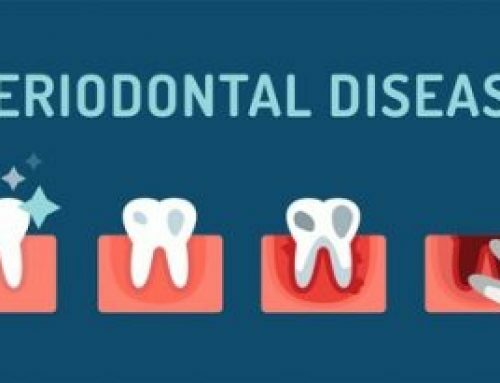 Because periodontitis is caused by bacteria that once you have in your mouth, is kind of there pretty much forever. We can kill it, and we can reduce the amount of it but you can, not only have it in your mouth, but you can spread it to loved ones and so on and so forth. It’s actually an infectious disease, which most people don’t know and, most people get creeped out about. But typically when we see one spouse with periodontitis, the, husband or wife of that person typically have it as well. So it’s one of those things, like I said, it’s good to get checked. It’s good to make sure that it’s not causing any permanent damage to your bone or your teeth or anything like that, to the gums. Have no fear we can take care of all that stuff. So if you have some bleeding gums or any issues like that give us a call at 248-652-0024.